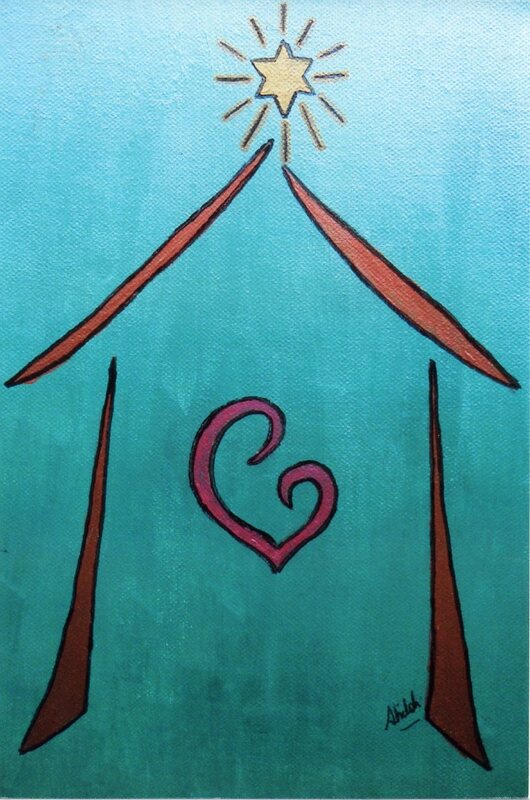 This painting is from a simple line drawing of the nativity scene. At its centre is mother Mary cradling baby Jesus, forming the shape of a love heart. They are surrounded by the simple structure of the stable. Shining above is the guiding star.